Looking for a way to generate more business, promote your organization, or get the word out about your upcoming event? 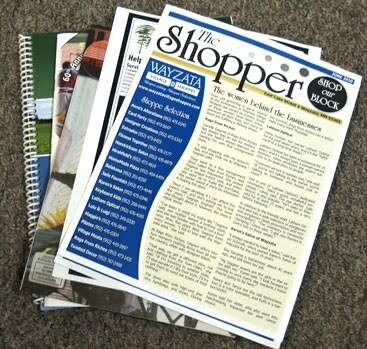 Check out Wayzata Printing for the latest innovations in short-run, full-color, direct-mail printing services. We provide our customers with the total package, including design, copy-writing, creation, and mailing. Call today 952-473-5200!